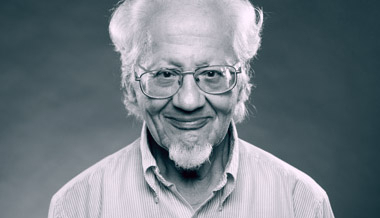 C. René Padilla was born in Quito, Ecuador, and reared and Bogotá, Colombia. He has been living in Buenos Aires, Argentina, since 1967. He received a B. A. in Philosophy from Wheaton College, an M.A. in Theology from Wheaton College Graduate School, and a PhD in New Testament from the University of Manchester, England. In 1992 he was granted an honorary D.D. by Wheaton College. He is a founding member of the Latin American Theological Fellowship (FTL, its acronym in Spanish) and of the Kairos Foundation in Buenos Aires, Argentina. For twelve years, until recently, he was the International President of Tearfund - U.K. and Ireland. He is presently the President of the Micah Network and Executive Director of Ediciones Kairos, the publishing arm of the Kairos Foundation. He has lectured in many countries around the world and has written or edited several books in English and Spanish. His main work, Mission Between the Times: Essays on the Kingdom of God, has been published in English, Spanish, Portuguese, Swedish, German and Korean. Theologian and missiologist René Padilla discusses Christian loyalty and the Confessing Church during Nazi Germany. Latin American theologian and author Rene Padilla discusses the danger of valuing things over people. Latin American theologian and author Rene Padilla discusses our Christian citizenship and God's sovereignty. Latin American theologian Rene Padilla on institutionalized injustice and grassroots change through the Church, the school of love. Latin American theologian Rene Padilla on fasting, salvation and good works. Latin American theologian Rene Padilla on what making greed history, not poverty.